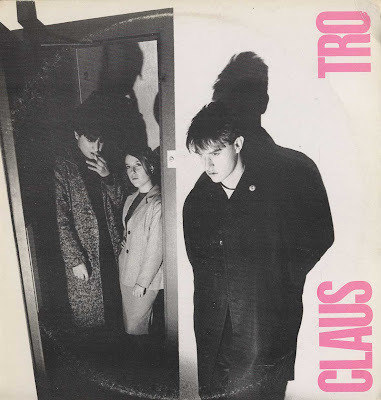 Great Spanish electronic post punk/cold wave band.This is their 1st lp released in 1984.Minimal synth all through,angst vocals,the typical cold waveish bassline....reminds me a mix of Sad Lovers and Giants,Chameleons and "european period" Tuxedomoon at times. All these with the Spanish temperament of course.Awesome record. All infos found were in spanish so if anyone could help ,it would be much appreciated! I`m a big fan of Claustrofobia, and i really love this album. This was their first LP , Later they released "el silencio" ( maybe my favourite),"repulsion" ( with Robert Wyatt the most aclaimed album)), "un chien andaluz" "encadenados" and finally "les tresors ( a compilation). I am sure that comments are always welcome, even when they are negative ones. So, I don't regard this record as an awesome one...and i am having difficulties in locating electronic post punk elements. I would like you to gimme other album of this band. i want to listen to "Repulsion". do the thing! Maybe you can help me out! thanks for this record! 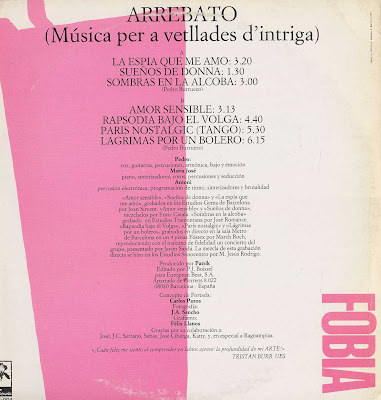 a nice specimen from an exciting period in spanish (music) history. as for the information on http://www.claustrofobia.tk/, i think google translate, although far from perfect, will transform it into reasonably understandable english for you. more like a F*** European Soundfesival Band. Do you have LE SYNDICAT ELECTRONIQUE ? I'm looking everywhere. Thanks for all the great music. Do you have any LE SYNDICAT ELECTRONIQUE, or groups similar? What a silly comment...They know about the same than Arkansas guitarists or Antarctic trompetists. Gotta love Mutant Sounds. This is great! Any more Claustrofobia would be welcome. There doesn't seem to be anything to speak of available on other blogs. Thanks. Cool! Thank you for posting! Any chance to post repulsión?